Park City, Utah golf and neighboring towns of Heber and Midway changed dramatically leading up to and following the 2002 Winter Olympics. These once small ski towns quickly joined the national golf course construction boom with the announcement of the highly publicized winter games. 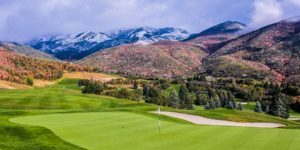 The mass of media attention brought a flurry of golf developments to these mountain towns, perfectly located just 25 miles east of Salt Lake City International Airport. With Park City’s truly unbeatable location, combined with the worldwide exposure garnered from the Olympic games, it’s no wonder the biggest names in golf course architecture were called upon to build new layouts in Park City. 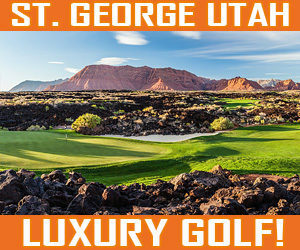 Legends of the game, like Jack Nicklaus at Red Ledges, Pete Dye and Nicklaus at Promontory Club, Tom Fazio at Glenwild, Rees Jones at Victory Ranch, and Gene Bates at Soldier Hollow and the new Canyons Golf Course! Each world-class architect were offered great pieces of land to let loose their imaginations, and stamp their creative golf signature designs on and propel Park City into a mountain golf mecca. 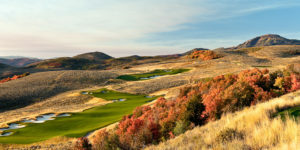 While it’s true Park City, Utah is primarily known for its winter reputation, it’s the golf and other summertime activities which have launched the area into one of top the year-round, mountain-destinations in the entire country. 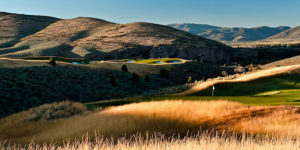 Golfers can enjoy cool average summer temperatures in the mid 80’s in Park City and the Heber Valley, making the area a perfect mountain escape. 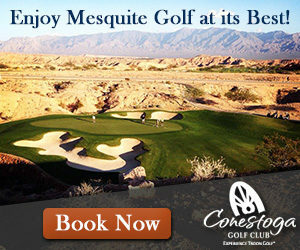 Not only does the Park City area offer excellent golf, but numerous 4 and 5 star accommodations are available, and serious list of superb Zagat rated restaurants and an overload of other recreation is at your fingertips.